Helmet's 1990 release on Amphetamine Reptile was a monumental debut, but by that time band leader Paige Hamilton had keenly honed his sonic guitar craft in New York noise metal act Band of Susans. During his tenure there, Hamilton had experimented with a rock sound stripped of its blues roots and devoid of anything remotely funky. Strap It On was pure Ubermensch metal, machine tooled in its precision, a paragon of robotic self-control. 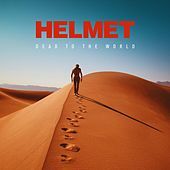 Though it didn't rely at all on drum machine beats or synthetic guitar, Helmet's music sounded industrial in its own way. It won the band enough recognition to secure a major-label spot for their second release, Meantime. 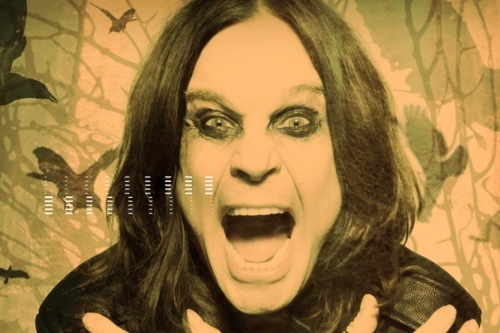 Though that album was far more melodic (symptomatic of the general trajectory of the band), it recaptures at times the white-knuckle intensity of their first. 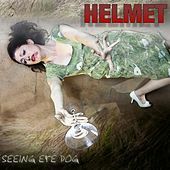 After another couple of records -- none hailed as much as their first two -- Helmet parted ways in an unamicable split brought on by pressure and personality differences. Hamilton retreated to L.A. from New York and did some guitar playing for David Bowie, while drummer John Staneir joined the post-rock supergroup Battles. After years of resisting, Hamilton brought in new sidemen and revived the Helmet moniker in 2004 to record Size Matters for Interscope. In 2006 the band jumped to Warcon Records, a label closely tied to the Warped Tour, and that summer headlined the tour and released their seventh album, Monochrome.